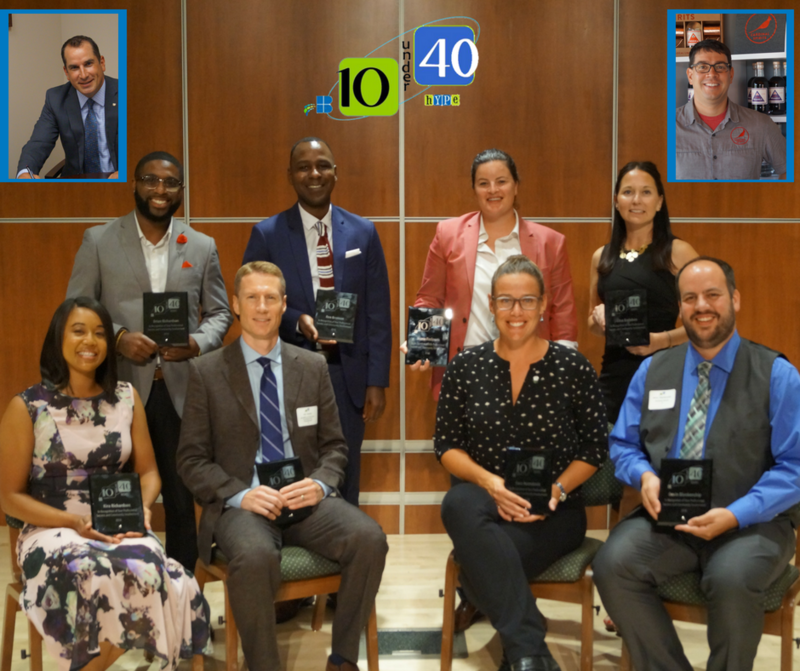 The annual 10 Under 40 Awards honors ten young professionals under the age of 40 for their outstanding leadership in the workplace and community involvement. 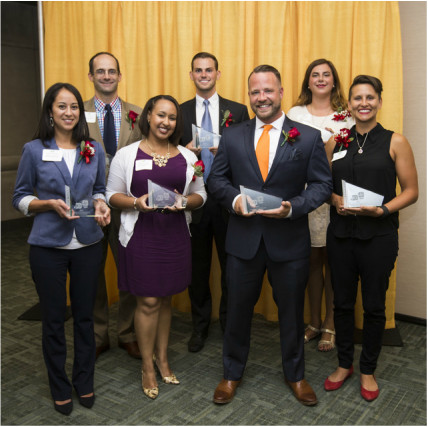 This group of young professionals represent the best and brightest in Bloomington - they are wonderful examples of caring individuals, hard workers and whip-smart, creatives making our community a better place. 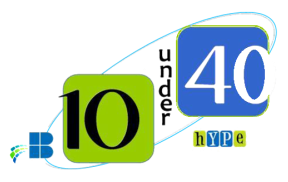 Our 2018 10 Under 40 Award recipients received a $500 scholarship to participate in the 2018 class of Leadership Bloomington-Monroe County! They also received a complimentary bottle of wine from Oliver Winery, a one-month pass to Quick Fit of Bloomington and a Bloomington Bicentennial glass. Joshua James, Matthew Clay, Tricia Riveire, Sarah Gadlage, Sean Starowitz, Paola Maria Hernandez Barón, Megan Parmenter, Ashley Durcholz and Trent Deckard. ​Not pictured - Maranda Richardson. Jon Barada, Will Lehman, Teal Strabbing, Sarah DeWeese, Morgan McMillan, Patrick Rubeck and Sarah Perfetti. Not pictured: Jessica Levandoski, Chelsea Sanders and Chad Rabinovitz. ​Sam DeWeese, Tyler Henke, Abby Noroozi, Janel Roll, Shannan Stryjewski, Jessica Merkel, Prem Radhakrishnan and Jacob King. Not pictured: Gabe Colman and Pat East. ​Dr. Debby Herbenick, Nichole Lustre, Katie Birge, Craig Hickman, Alex Purcell, Jim Inman, Jr., Brian Muehlhaus, Kacey (Martin) Loveless, Crystal Taylor-Baker, and Jason Behling. Kyla Cox-Deckard, Dr. Priscilla Barnes, Jennifer Borland, Dana Palazzo, Adam Wason, Michael Fox, Maarten Bout, Chelsea Rood-Emmick, Sophia Percival and Kevin Powell. Heather Allen, Jason Banach, Annie Cornett, Logan Good, McKenzie May Goodrich, Adam Schaeuble, Jessica Reed, Erika Rudd, Jaimie Schwartzman and Amanda Shettlesworth. Alyson Norrick, Erin Cooperman, John Hurlow, Brad Wisler, Dr. David Pillar, Erin (Erdmann) White, Jessika Hane, Rick Dietz, Samantha Schaefer and Mike Trotzke.